Boot IFD in maintenance mode. While holding those LSKs, a counter in the upper left will count down from 3. 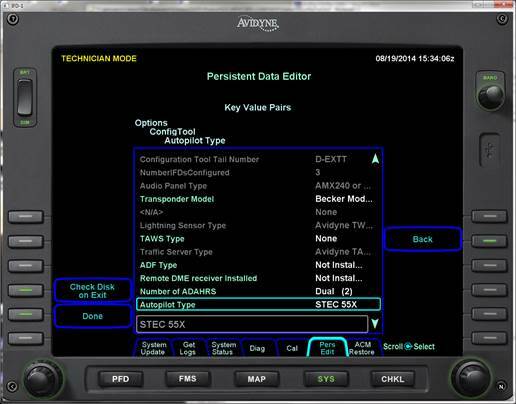 After the counter expires, press Proceed to enter "Technician Mode"
Use the knob to scroll through the configuration items.